Paintings & Prints - The Callanish Standing Stones, Callanish, Isle Of Lewis, Outer Hebrides, Scotland. 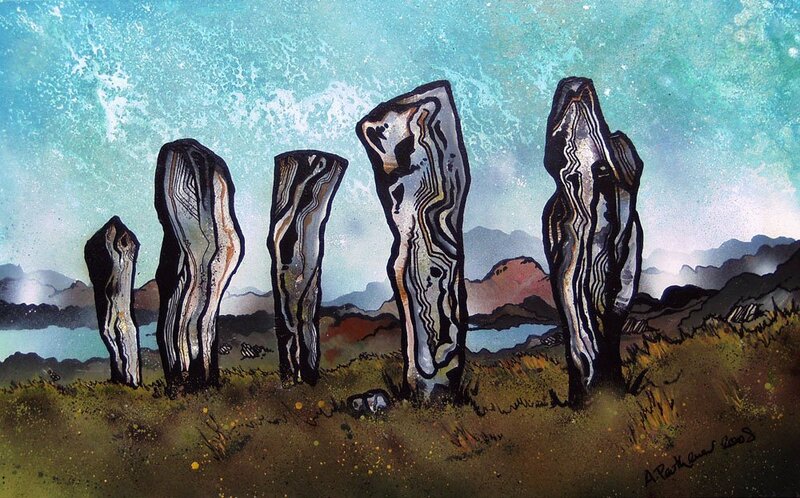 An original painting & prints of The Callanish Standing Stones, Callanish, Isle Of Lewis, Outer Hebrides, Scotland. An original abstract, atmospheric landscape painting of The Callanish Standing Stones, Callanish, Isle of Lewis, Outer Hebrides, Scotland. The original painting was a commission for a client. A range of print sizes and formats are available. Painting & prints of The Callanish Standing Stones, Callanish, Isle Of Lewis, Outer Hebrides, Scotland by Scottish landscape painter Andy Peutherer.